M&TG48-This beautiful ranch is a feast for the eyes and also for the soul. Getting away from the city traffic, noise and lights is wonderful and this property is so peaceful and beautiful. 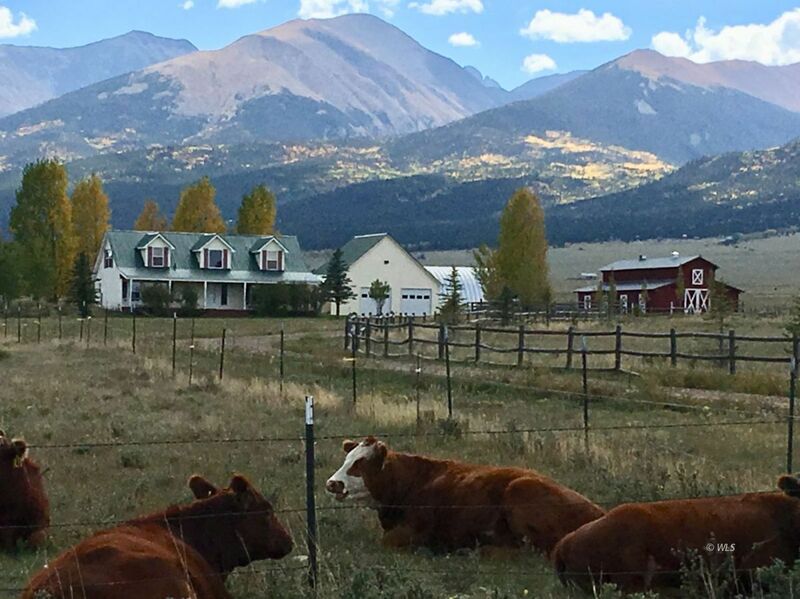 It sits below the charming town of Westcliffe, Colorado. The skies are brilliant blue during the day and so dark at night that the stars just pop with brightness and majesty. The home has 5 BR, 2.5 baths and attached 2 car garage. The 36' X 50' barn has 3 stalls, a tack room and lots of hay storage. Store your tractors and equipment in the 40' X 60' Quonset barn. Also included is a 12' X 32' loafing shed. This is "Valley Floor" land with good grass and hay ground, water rights, a pond and windmill. The land is divided into four pastures, great for your cattle or horse set up. Located just 3.5 miles from town and schools, and very close to the National Forest trails in the Sangre de Cristo mountains. Watch the ever changing panorama from your back porch with epic 360 degree mountain views. No homeowner's association, just your own piece of paradise! Conservation easement is in place. Listed at $789,000.